Why Traveling to an Addiction Rehab Center May be Best for Your Recovery. When searching for the right rehab center to treat your addiction, convenience is often the first factor considered. Most individuals will do research to find a center that is located as close to their homes as possible. On the surface, being close to friends and family, your job, or what's familiar to you may seem like the best way to recover, however, that's not always the case. Sometimes, it's the distance that makes a world of difference. Though where you live is what feels most comfortable to you, it is important to understand that it is also the source of your emotional triggers and addictions. Removing yourself, even for only a few weeks removes those pressures and familiarities. If you live in a city like New York, for example, but you opt to go to a rehab center in Utah, the change of scenery can be very calming and effective to your recovery efforts. The fresh air, mountaintops, and new environment automatically improves your mood giving you renewed hope. Your recovery efforts are solely dependent on you. Even though it is great to have family and friends in your corner during such a dark time, you really have to tune everything and everyone out to focus on your healing. This is easier to do when you're miles away from home instead of just a few minutes away. Knowing that family isn't right around the corner, being free from responsibilities, triggers and other distractions reduces what your mind has to focus on allowing you to put all your energy into your own recovery. When you're close to home it can be easy to resort to impulsive behaviors. If you're just a few moments away from your house, quitting when things aren't going as you'd like is a lot easier to do. When you're around triggers like friends who come from a party lifestyle, dealers, and even family members who caused emotional damage it increases the chances that you'll relapse. Traveling for addiction recovery, creates some distance and boundaries. You're not going to want to bail as easily if you have to catch a plane to get home, you won't focus too much on those triggers if when you step outside you're not reminded of what was or easily accessible to what used to be. Chances are you'll stick with it. There are lots of rehab centers across the country willing to help treat those suffering with addiction, and it's your job to determine which one is right for you. When you only search for facilities nearest your home you limit yourself. 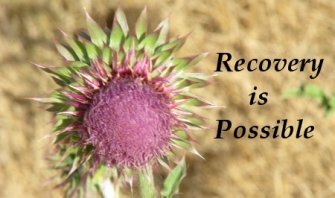 There is no one size fits all method to treating addiction and, therefore, you want to keep your options open. Perhaps traveling further will give you access to other treatment solutions that aren't available where you live. For instance, there could be a detox center located near you to help get the drugs or alcohol out of your system, but does this facility offer sober living housing and solutions to help you transition after you've kicked your habit? This type of service may require you to go out of town. When it comes to beating addiction and reclaiming your life, you can't short change yourself. Not only must you be ready and willing to put your best efforts forward in healing, but you must locate the best resources to support you in getting there. This means finding the right rehab center. Though programs near your home may provide some level of convenience don't limit yourself. Sometimes traveling miles away to get the right help can make a world of difference in your ability to succeed.